Named after a 19th century French astronomer, Henry Crater is a 165 kilometer (103 mile) diameter impact crater, located in Arabia Terra on a portion of the Martian highlands extending into the northern hemisphere. 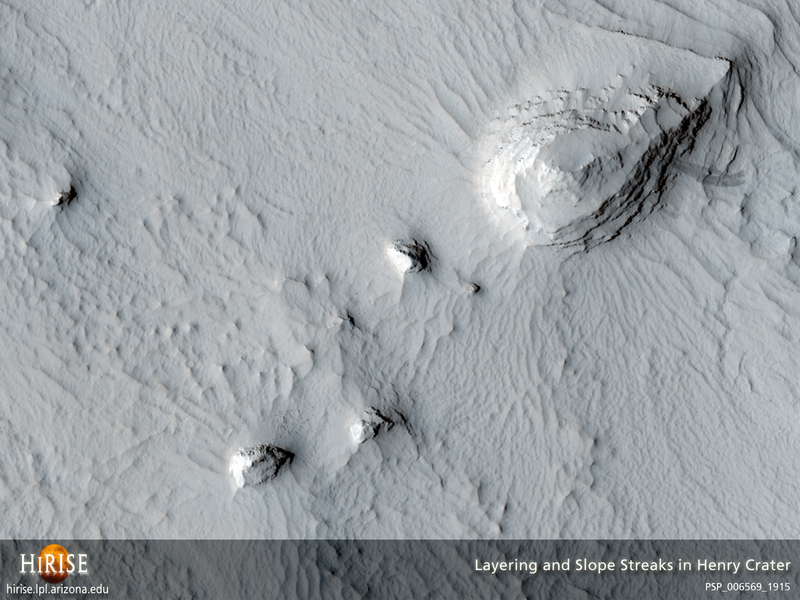 This observation shows multiple layers on the edge of a mound on the floor of the crater, which is distinct from others in the immediate vicinity. The layers represent the eroded remains of sedimentary rocks that formed from sediments deposited within the crater sometime after its formation. 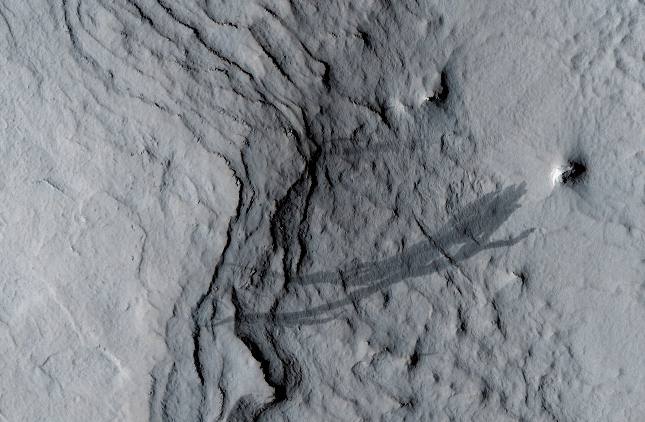 The origin of the sediments on the crater floor in not known but may be windblown dust and sand. The layers exhibit differences in degrees of hardness and resistance to erosion with resistant layers forming cliffs and more easily eroded layers forming ledges. This is a stereo pair with PSP_007070_1915.